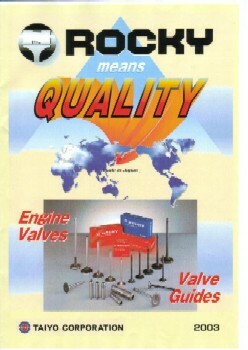 Please be informed that we have issued the newest catalogue of "N-ROCKY" Engine Valves. 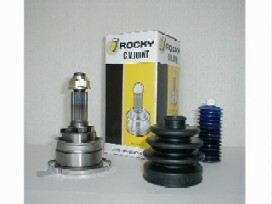 we will change the individual box of "J-Rocky" C.V. Joint to be wrapped by clear film. 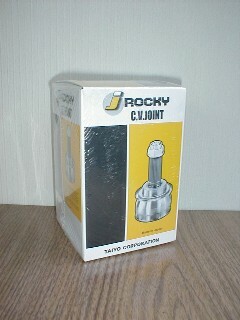 We are pleased to introduce "J-ROCKY" C.V. Joint as our new item. 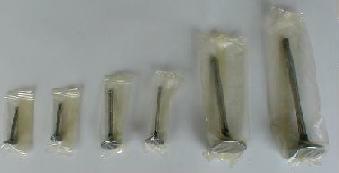 Please be informed that our inner individual packages for N-Rocky Engine Valves will be changed as follows soon. a.We will change our individual package from rustproof paper wrapping to vinyl wrapping with rust-preventive powder in accordance with O.E.M. standard package standard. b.The outer packages and the outer cartons will remain same. c.We can improve the strength of rust-resistance with this package change. a.We must inform you that we will start supplying our engine valves with the above mentioned new package from the shipment of August, 2001.
b.For the time being, some old packages will be included in some part numbers. The construction of our new Tokyo office building will begin shortly. To meet the various demands of our customers in Kanto area better, we decided to build our new Tokyo office building in Matsue 5 chome Edogawa-ku in Tokyo. 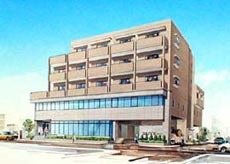 The construction of the Tokyo office building will start from May 15,2001 and is planned to be completed around May 15,2002. We look forward to offering a higher level of customer service from our new office in Tokyo.